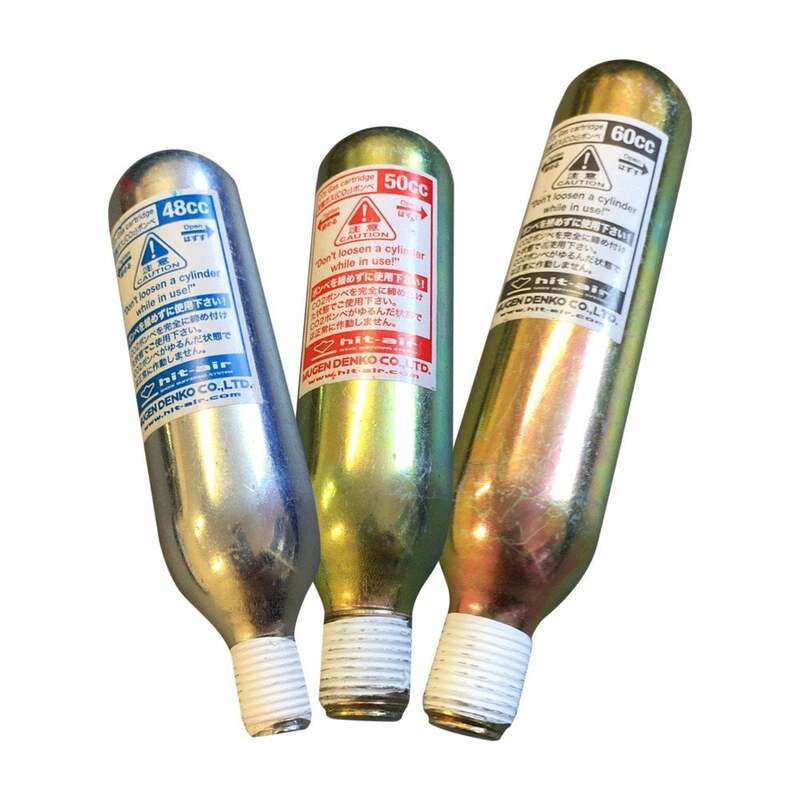 These Hit Air Replacement Canisters are useful to keep as spares in case your vest goes off in a fall and you need to replace it. It's always handy to have a Hit Air Replacement Canister on stand by so you're never without your Hit Air Jacket. These replacement canisters are sold for Hit Air Vests only and we do not recommend using them in any other equestrian air vests. Before replacing your Hit Air Canister please check the size required in your vest (the below is a guide only) and ensure you read the instructions. The 50cc canister is for the Junior Hit Air Vest and newer Adult Small Vests, the 48cc canister for the older small and medium vests and the 60cc canister for the medium MLV and large Hit Air Jacket. If you need any help please don't hesitate to get in touch and one of our trained Hit Air fitters will be able to help you.